What Might Fans Expect From 'Castle Rock' Season 2? Fans of the Stephen King-inspired Hulu series Castle Rock certainly have a lot to celebrate, as the J.J. Abrams-produced series has been renewed for a second season. 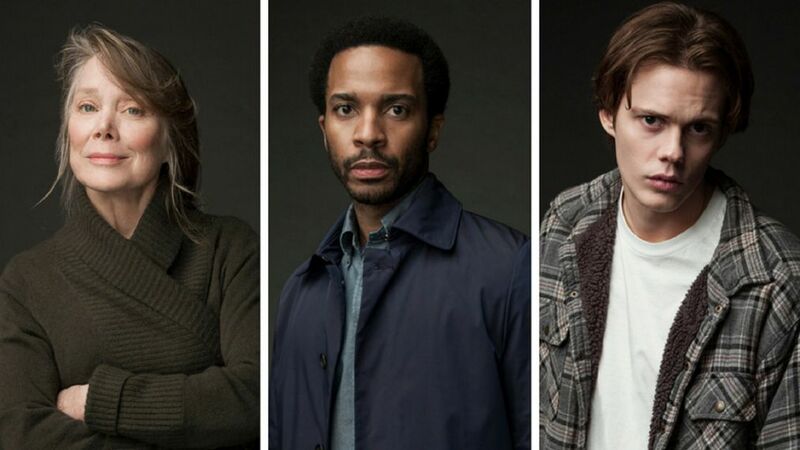 Starring André Holland, Sissy Spacek, Bill Skarsgård, Melanie Lynskey, and many others, Castle Rock continues to wow fans each week with its connections to King's works. The Shining, Shawshank Redemption, The Green Mile, Cujo, and more have already been referenced in the first season's first six episodes, with more references likely to pop up in the remaining four. So what can fans expect from the Sophomore season? It's a little early for exact details, but there are plenty of theories to be explored and patterns that are likely to continue. Here are a few possibilities. Although it's pretty much a given, Castle Rock is sure to delve deeper into the Stephen King universe. With an immense library at hand, the possibilities seem endless. With King essentially a story machine, the writers of Castle Rock have an abundance of ideas from which to take inspiration for their sleepy town. One of the show's biggest selling points is its talented cast of characters, from Spacek to Holland and beyond. Since the first season hasn't completed airing, it's too early to say whether or not these characters will return in Season 2, but we sure hope they do. Of course, if Season 2 were to explore a new story with connections to the first season, that would be fun as well, and would give the opportunity to cast a new batch of talented actors and actresses. Who knows — maybe they'll cast more actors famous for previous Stephen King adaptations, as they've done in Season 1 with Spacek from Carrie and Skarsgård from It. A theme throughout the current season is that bad things happen in Castle Rock. From suicides and murder to vicious dog attacks, there's plenty of evil lurking in this Maine town. So perhaps the story evolves, or more horrors connected to The Kid (Skarsgård) emerge. Either way, the writers are sure to come up with something good for the second season. If chills and thrills are your thing, then Season 1 is delivering tenfold, and similar fare is likely on the menu in Season 2. With time to binge, the series is sure to garner more fans between now and Season 2, as well. Until then, fans will just have to wait patiently and enjoy the remaining Season 1 episodes.